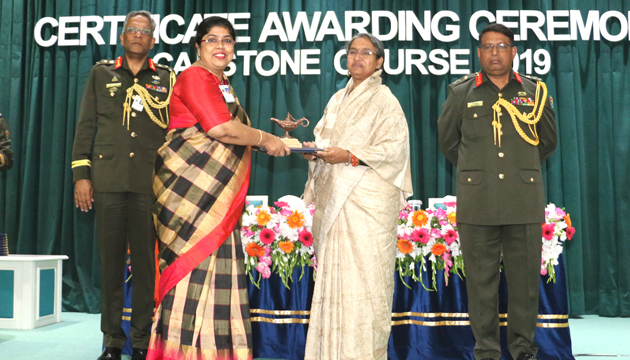 The 11th Capstone Course was concluded on Wednesday (10-4-2019) at National Defence College (NDC), Mirpur Cantonment. 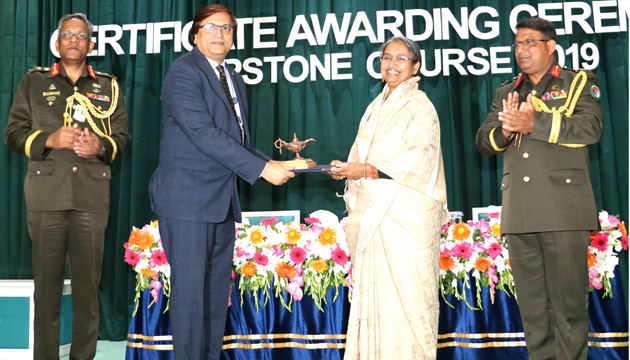 Education Minister, Dr. Dipu Moni distributed certificates among the Fellows as the Chief Guest. Hon’ble Minister congratulated all fellows for their successful completion of the course. 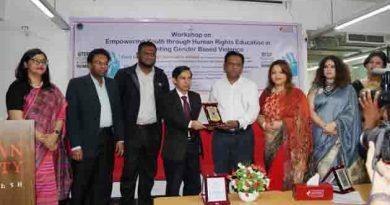 She urged upon all fellows to contribute in upholding constitutional responsibility in order to strengthen national security and persue sustainable developement of Bangladesh. 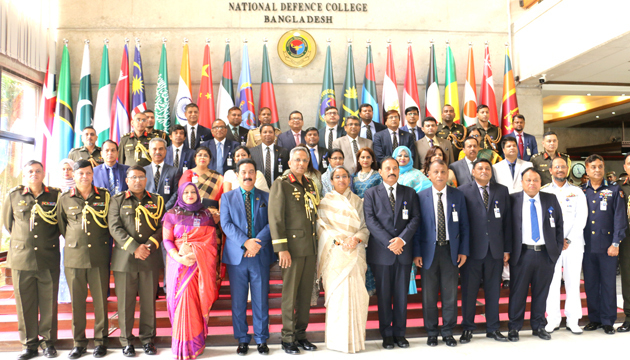 In his welcome address, Lieutenant General Sheikh Mamun Khaled, Commandant of NDC paid profound tribute to our greatest leader, the Father of the Nation Bangabandhu Sheikh Mujibur Rahman, and all martyrs who sacrificed their lives during the war of liberation. He earnestly solicited all fellows to continue the struggle to realize the dreams of the Father of the nation. Total 34 Fellows including parliamentarians, bureaucrats, senior military and police officers, eminent academia, senior doctors, senior representative of government and non-government organizations, senior journalists, consul/diplomat and corporate leaders are taking part in this course. 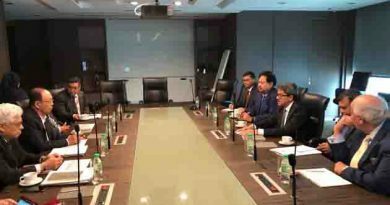 Among others, high level Military & Civil Officers, Faculty Members of the College and prominent personalities were present on the occasion. 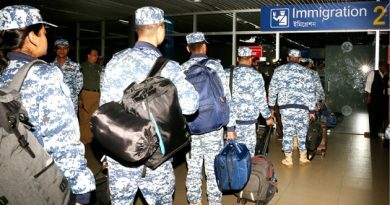 Bangladesh Air Force is going to replace its contingent at the UN Peacekeeping Mission in Mali .